Top Digital Marketing Tips You Need To Read | OhGizmo! By David Ponce on 08/18/17 • Leave a comment! 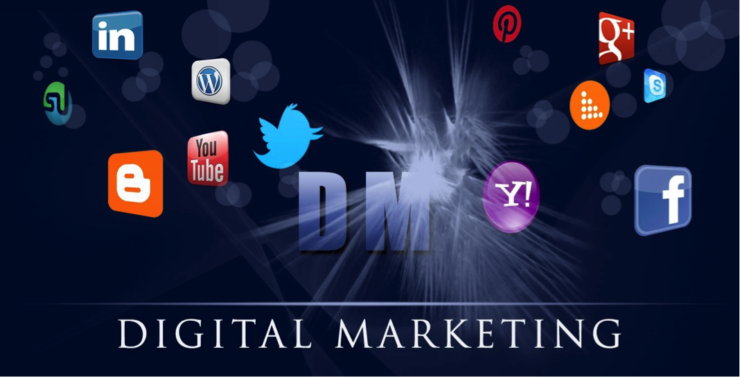 Digital Marketing is a lucrative business and it is far more effective for larger and more competitive businesses. If it is done effectively, it has far more success than small business advertising does. This is a business that is always evolving, as more and more ideas continue to emerge; however, it takes time and effort to promote and perfect different strategies to help your business grow. There are several different keys to successful digital marketing. There are multiple channels in which a digital marketing audience can be reached; blogs, social media, e-mail, podcasts and websites. The following strategies will help kick your career into high gear. First of all, you need to keep up with all the major digital marketing sites, such as Google, Twitter, Facebook, and also keep up with industry news. Blogs also help share information which is geared toward a specific audience. The sort of information that is expressed in a blog inspires a specific audience to not only read the original content, but also brings people back to the blog for future reading. You can also use social media sites, such as facebook, to boost your business. It is important to build trust and brand loyalty with the audience. However, do not strictly advertise. You should aim to build a relationship with the audience. Try to keep content simple, be consistent, and always respond to feedback with a positive attitude and as quickly as possible. You might find this article interesting. Second, digital marketing messages should be quick and also grab the reader’s attention in an instant. This is because you literally only have seconds to connect with a potential customer. The message should also be direct and organized and convey a feeling that reaches the audience right away. Third, you should always try to network. Try to surround yourself with those who are also in the digital marketing business. You can find industry meet-ups and conferences in your area, and you can enhance your abilities through in-depth workshops and presentations. Fourth, visual aids are an awesome tool that can optimize development. Videos and graphics for your blog or social media site, can optimize communication and business development. Videos and for your blog or social media site, can really grab the audience’s attention and boost the quality of the content. Visual images are usually a great way to promote business. Fifth, every digital marketer should have personal projects that they devise all on their own. This is a way to test out your own personal projects and is also a way to test out your own personal marketing skills and build revenue apart from industry leaders and fellow digital marketers. Sixth, promote any positive reviews you receive concerning your business, on your website, and show the consumer why they should choose your business. Positive reviews tend to generate business. Seventh, use different perspectives in your website development. You need to make sure that it connects with all different members of your consumer audience. Try to prioritize your site based on the need of long term customers. It is important to gain insight and feedback from the consumer audience. Eighth, mobile relates to all types of marketing, especially digital marketing. It has influence over web development, content creation, user experience and promotion. These days, people like to use apps, features and other functions, or some other mobile feature that utilizes digital marketing in the way and in the form they feel is best for them. Ninth, it is also important for digital marketers to construct a landing page. This is the first impression that users get of your brand and it allows for the communication of important objectives in your site. People tend to be impatient when searching for things online. Try to give them exactly what they want with clear and concise landing pages. Last, and possibly most importantly, learn basic knowledge of HTML and graphic design. This will make you look more credible, relevant and able to produce a quality product. Acquiring a certificate in a certified digital marketing course will also make you stand out from the rest. Tenth, use content to promote your brand using a quality service like iNet Ventures or ICY Digital, both of which have the ability to strengthen a brand’s authority via influencer marketing techniques of which are effective and natural. Basically, any sort of knowledge in digital marketing will propel you all the way to the top. In conclusion, digital marketing encompasses many forms of online promotion, ranging from social media to online advertising. It is a growing industry in which interesting concepts are embraced and technology is used as a tool to obtain a new and an ever-changing consumer audience. If you utilize the above tips, you will eventually find success in the digital marketing business.